CPS Energy is proud to be part of the Association of Women in Energy‘s panel discussion about the EPA’s proposed Clean Power Plan. Event presenters will talk about the implications and consequences that this initiative will have on the energy industry. The discussion will take place tomorrow, Oct. 28 from 1 – 4 pm at the International Center, in downtown San Antonio. If you’d like to attend, there’s still space. 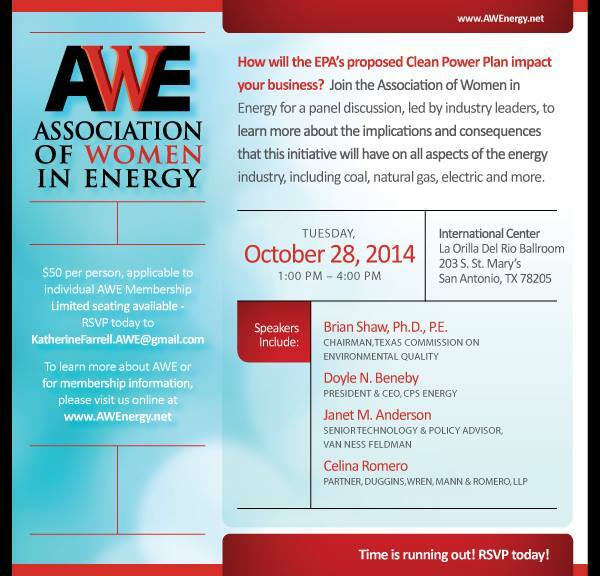 To RSVP, please contact MSStoner@cpsenergy.com.